Vivian Campbell cannot imagine her life away from East Liberty. For her, leaving the neighborhood would mean interrupting her family’s legacy. Vivian’s family settled in East Liberty 125 years ago. It is where their American story began. 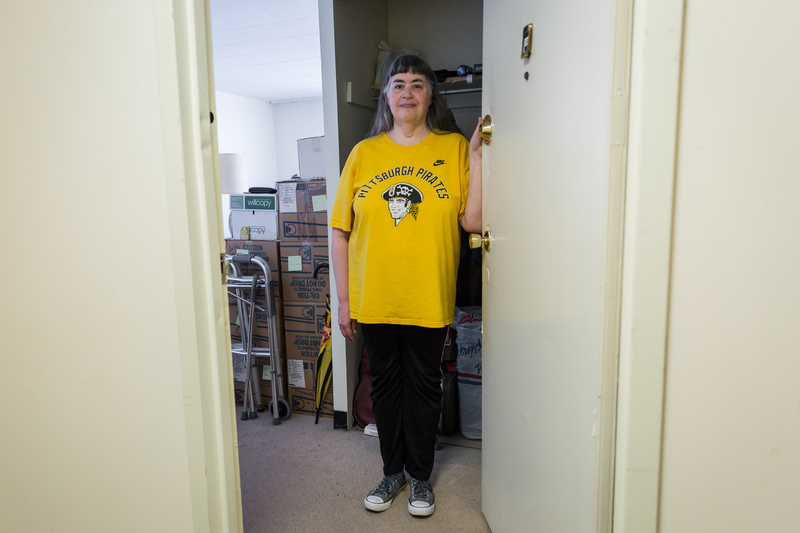 For the time being, Vivian — one of the last residents of the beleaguered Penn Plaza apartments — is able to stay in East Liberty. Last week she found out that she and three other residents would be moving three blocks away from Penn Plaza to Mellon's Orchards on Friday, March 31, the eviction deadline for all Penn Plaza residents. At first glance, the new residence seems like a solution. But it is a temporary fix. Previously “mothballed,” Mellon's Orchards has been undergoing renovations to become habitable for Vivian and the others who are to move in. Vivian hasn’t yet seen the apartment she is moving into. That is a luxury she has not been afforded. For the next 16 months, Vivian will call Mellon's Orchards home. Then she will have to move again. She chooses to remain optimistic about her situation. Thankful to be able to remain in the neighborhood for another year, she is going to use the time to look for full-time work. Vivian currently works part time at the East Side Neighborhood Employment Center (part of an AARP program called Seniors Community Service Employment Program). She supports herself without any government assistance. She says her dream job is to work at the University of Pittsburgh; it’s where she, her mother and grandmother attended. Vivian says she would save money from a full-time job, so that when her time at Mellon's Orchards runs out she might be able to move to another home in East Liberty — this time, to a place of her own choosing. A self-described “geek,” Vivian has a history degree from the University of Pittsburgh and spends much of her time reading and researching genealogy. She enjoys talking about her own family’s history. "...all I know of Pittsburgh is East Liberty. I want to continue my family legacy of being in this part of town." Vivian lived in that duplex for most of her life, surviving the passing of her great-grandmother in 1980 and then her grandmother in 2003. 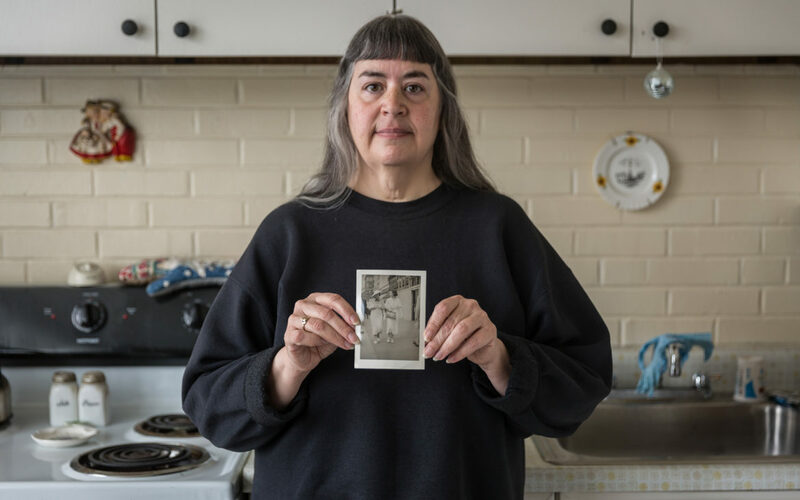 With a smile, Vivian remembers her grandmother: “I only wish she would have taught me her secret meatball recipe before she died.” The duplex was a rental, so when it fell into disrepair in 2009 Vivian had little choice but to leave. That year, Vivian moved to Penn Plaza. I first met Vivian on March 13, 2017. Vivian’s apartment, albeit cluttered, is kept meticulously clean. She is fastidious about it in an attempt to thwart the roaches that she says have been commonplace at Penn Plaza. With a glance at Baby, she reflected on her situation. “I just have to make sure that I keep a roof over my head, our heads. Maranie Rae Staab is Pittsburgh-based freelance journalist. She can be reached at maranie.staab@gmail.com or 412.979.6187. Vivian’s story is just one of the reasons people need to show up this Saturday, April 1, noon, at corner of Penn and Center (by Target) for a Memorial March with Penn Plaza residents and activists to protest gentrification and the toll it is taking on our city. BE THERE!